Like many people in the Magento community, we’ve been waiting for the release of Magento 2.3.1 since its arrival date was teased at the MagentoLive convention in Australia back in February. Now, that wait is up. Magento 2.3.1 was released on March 26 and includes merchant tool enhancements, infrastructure updates, performance boosts and more. 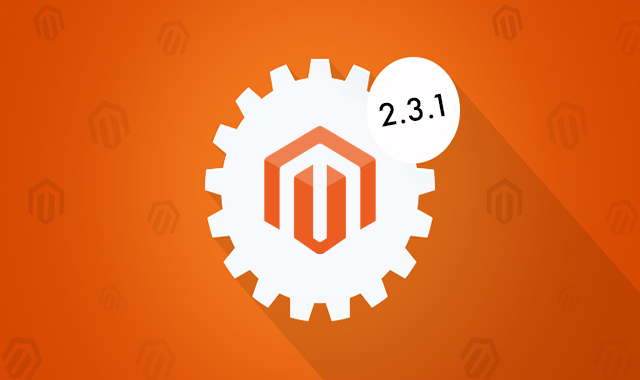 This marks the first major incremental update to Magento version 2.3.x. This release includes over 200 functional fixes to the core product, over 500 pull requests contributed by the community, and over 30 security enhancements, so unfortunately, we can’t discuss them all. We are going to highlight some of the most promising updates that Magento 2.3.1 has to offer, but if you’re searching for more detail or want information on a specific improvement, read the release notes here. See Page Builder User Guide and Page Builder Developer Documentation for more information. This feature is only available on Magento Commerce. The Magento Multi-Source Inventory (in short MSI) allows merchants to manage all inventory sources without any third-party extensions or platforms. In this update, multiple new features have been added after multiple requests from the Magento Community Hub. See Inventory Management Release Notes for more information about specific fixes, but see below for a few improvements. Improved Support for Elasticsearch and Inventory Management. This community-developed feature means that all site searches now return correct products and quantities when Elasticsearch is used as the search engine. As of this release, this will be the default option from Magento 2.3 moving forward. Distance Priority Source Selection algorithm (SSA) option. When enabling this algorithm, merchants can reduce fulfillment costs by shipping orders from the closest inventory locations. This option utilizes address geocoding through the Google Maps API to assess which delivery route is the shortest. See Manage source selection algorithms for more details. Enhancements to mass inventory transfers. This process has been optimized to improve speed and reduce locking during transfers. Previously, when merchants uploaded product images larger than 1920 x 1200, Magento automatically compressed and resized the image. With this update, merchants can set requirements for resizing and compression as well as target width and height and compression quality. Added multi-currency support for EU and U.K. merchants. See Use multi-currency for an introduction to using this new feature with Magento 2.x. Support for Marketing preferences has been added to the customer account dashboard area. If enabled, the customer consent text in the customer’s account dashboard area is now displayed as the general subscription text. The abandoned cart and automation process now benefits from a retry function if contacts are pending in dotdigital Engagement Cloud. Added support for B2C VAT. Added support for configurable logging. Shipment Cancellation: You can now cancel a shipment that has not yet been dispatched by accessing the shipment and clicking Cancel Shipment. Portal Access via Magento: You can now access the Magento Shipping portal directly from Magento using the Magento Shipping credentials that are stored in your Magento instance. Updates like this one prove that Magento is constantly making strides and aiming to be the best platform out there. If you need more information on how it compares with Shopify and BigCommerce, check out this comparison guide. For additional questions or assistance with Magento, please contact us.